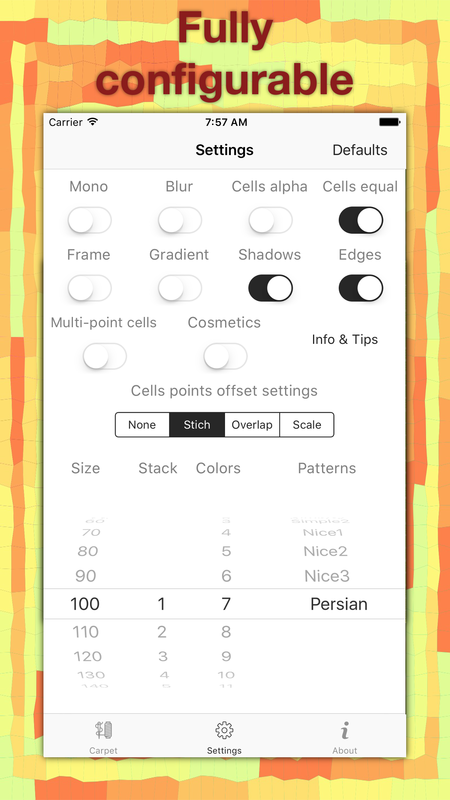 Sophia (iOS universal) - Photo Transformer released! 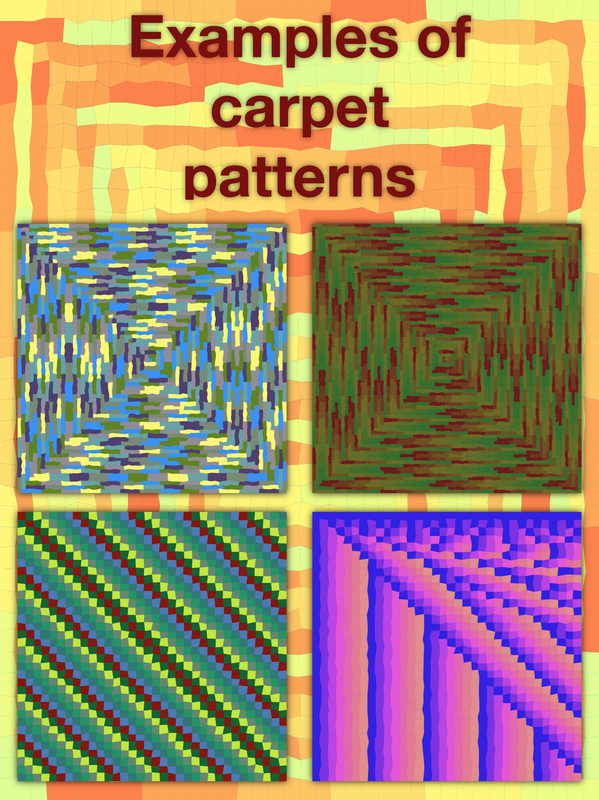 ​SOPHIA makes your photos look like carpet-designs. 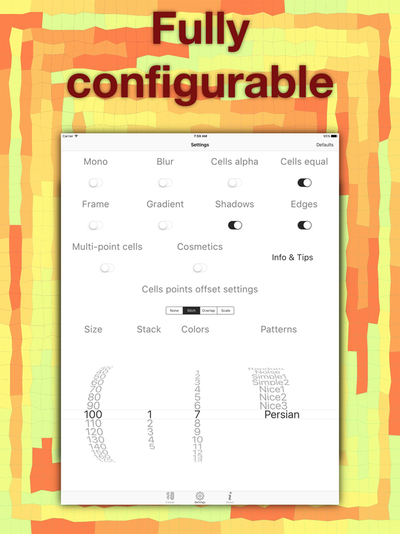 INNUMERABLE combinations are possible - always calculated completely randomly. SOPHIA doesn't use machine-learning algorithms (this has become quite easy nowadays), instead it creates every pattern with the help of completely (and very fast) procedural algorithms. 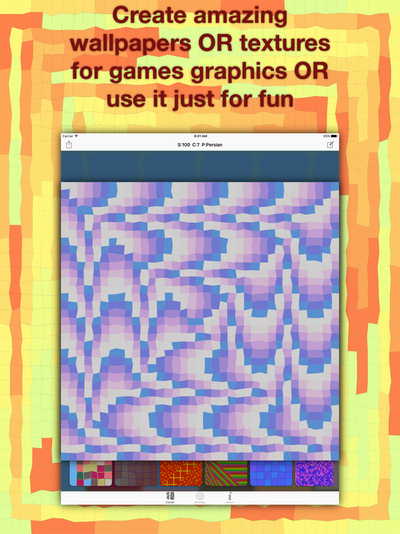 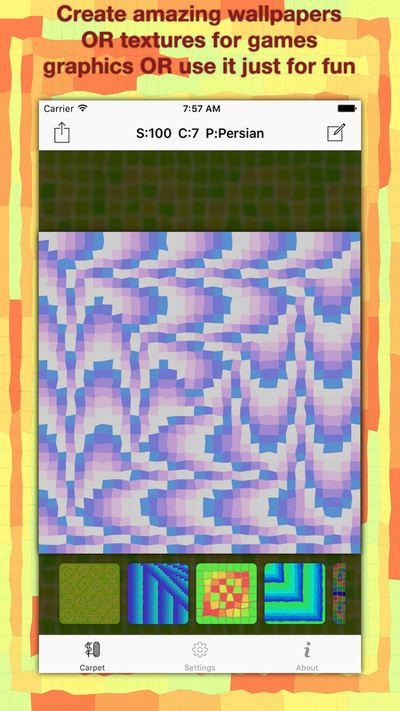 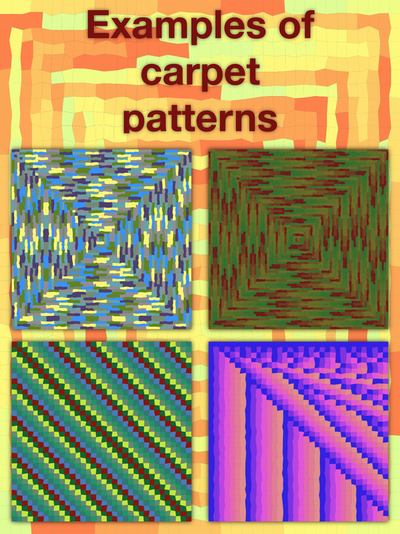 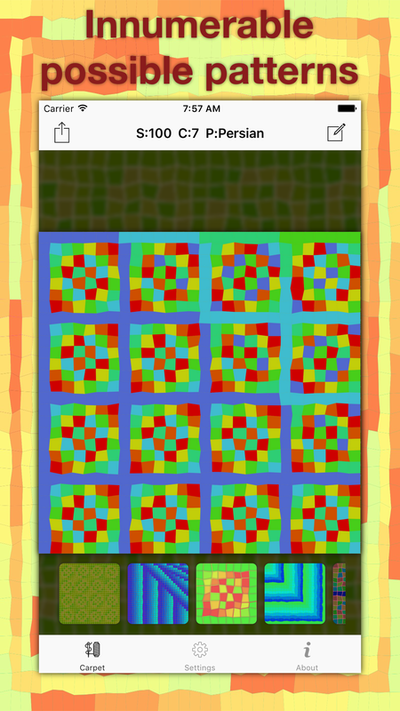 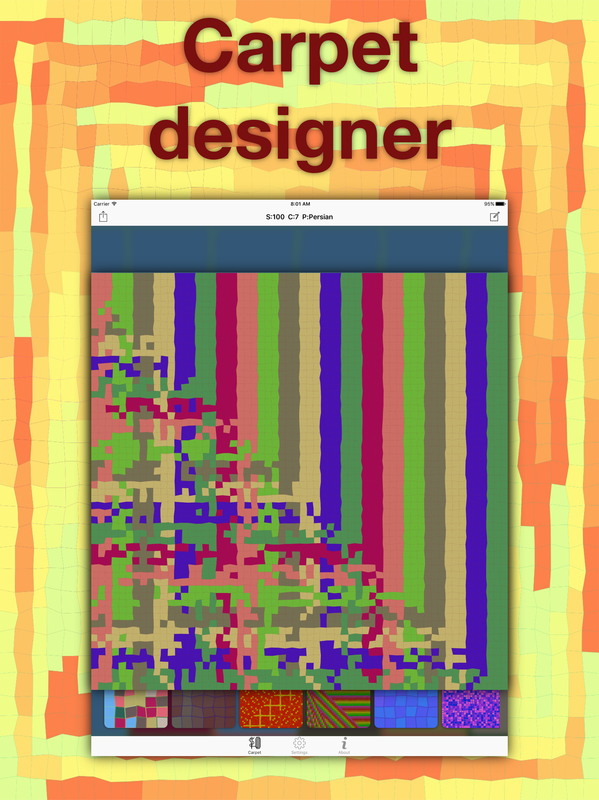 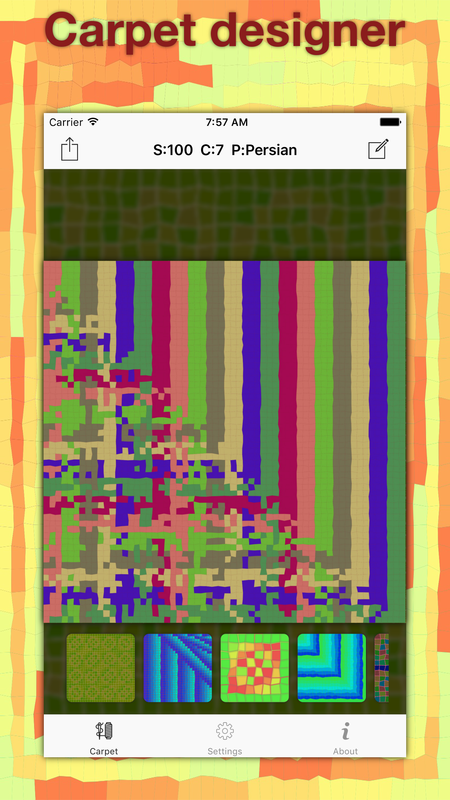 Carpet is an amazing app for creating carpet-like patterns. 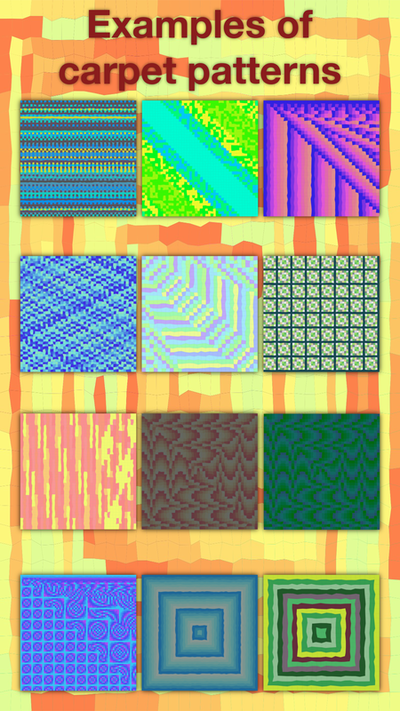 Download Sabi Stickers v1.4 here. 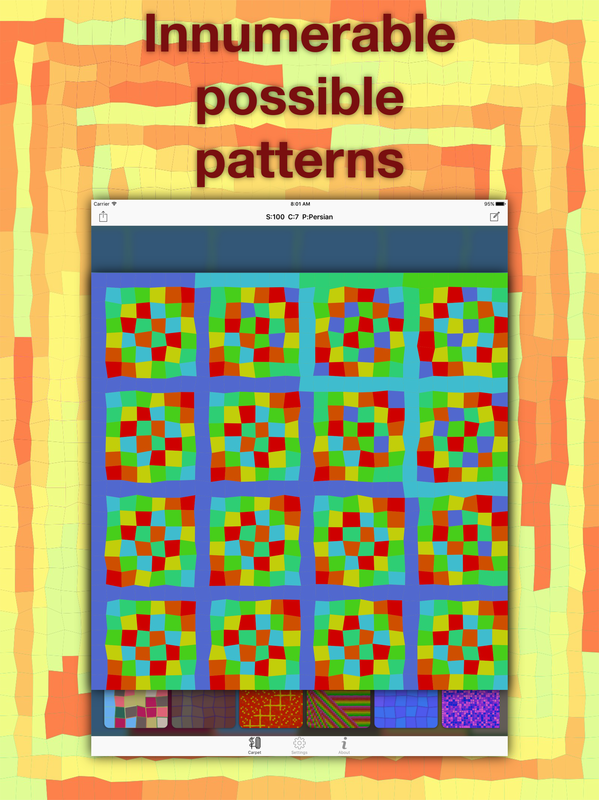 Sabi Stickers v1.4 will be released soon.